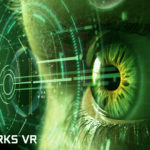 According to numerous insider reports, graphics technologies giant NVIDIA is said to be involved in significant research and development efforts for a head-mounted display capable of demonstrating virtual reality. NVIDIA is seen to be announcing its own take on virtual reality headsets at the upcoming Game Developers Conference in San Francisco. 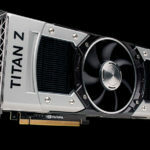 The VR headset, codenamed Titan VR, is slated to be powered by NVIDIA’s latest cutting-edge graphics technologies. 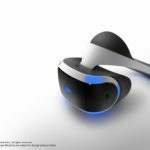 This report has been made in alignment to the upcoming technical session of NVIDIA about its latest developments with its in-house VR Direct technology. As these reports say, the rumored VR headset by NVIDIA is being worked on by the same people who develops the Shield, a handheld portable gaming device launched by the company few years ago. In addition, the rumored headgear is slated to be formally announced during the technical session entitled “VR Direct: How NVIDIA Technology Is Improving The VR Experience”. The credibility of the said report is greatly boosted due to the fact that the said company will be having its talk on in-house VR efforts. Not only NVIDIA is involved in such exciting developments – Advanced Micro Devices (AMD) is also busy with the virtual reality gold rush. In fact, AMD have had job openings for VR developers. The brains at the red team are also having appearances at GDC 2015, and will be hosting talks that will be revolving around the topic of low latency graphics improvements to largely benefit virtual reality. 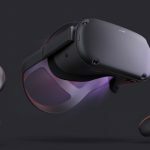 Although AMD is quite on the brim of VR, industry sources say that the company is not yet interested in building their own VR headset, insisting on collaborating with Oculus instead. Truly, virtual reality is having huge developments from being a niche market a few years back. From small startups adopting cheap virtual reality experiences, to big-ticket efforts like the Oculus Rift, virtual reality has come a long way in public interest and technology improvements. The Game Developers Conference is set to be a platform for promoting virtual reality even more. This year, the GDC is in its 29th gathering to attract thousands of game technology enthusiasts and companies working to deliver even better gaming experiences to the tech public. We just have to wait and see what NVIDIA has behind the curtain.